Beautiful Rose Tied Sheaf in a choice of colours. 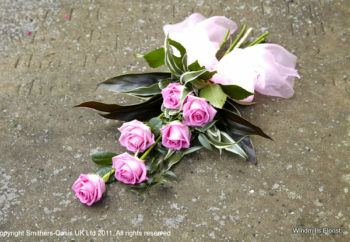 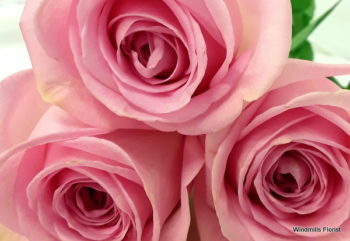 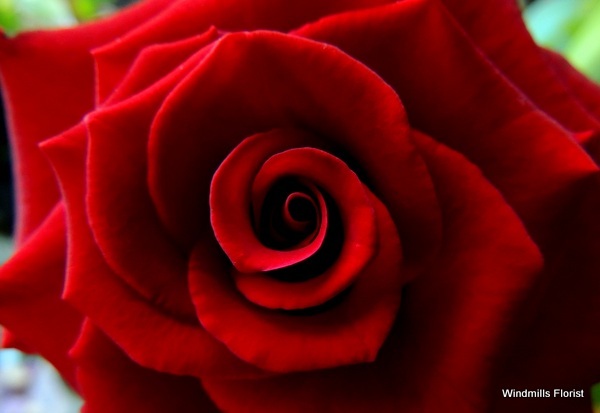 We use Roses in a mixture of buds and full bloom, to create a beautiful Tied Sheaf. 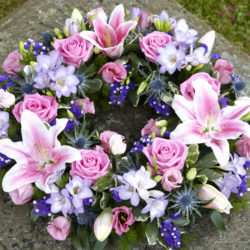 Available in a choice of colours. 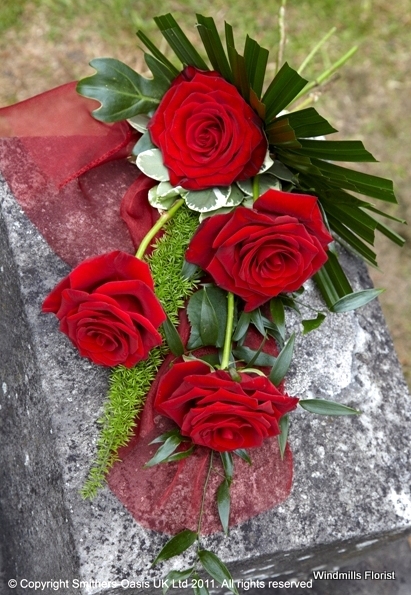 Your personal message, hand written on a Sympathy card completes your tribute. 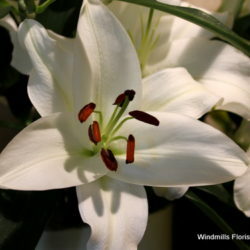 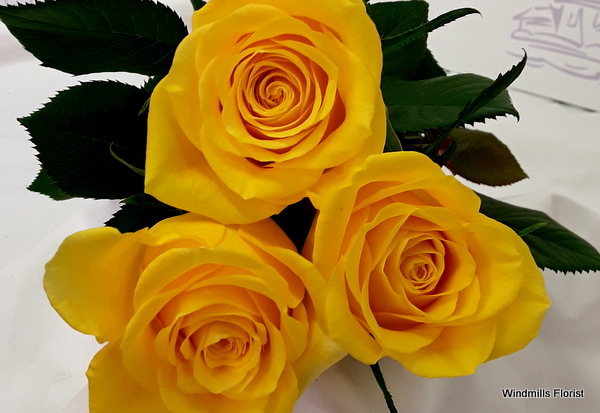 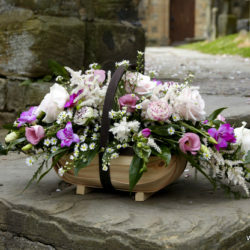 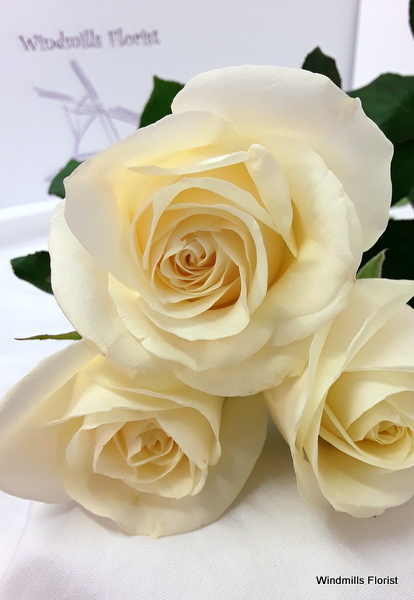 We can organise for your funeral flowers to be delivered to any of the Funeral Directors in Woodbridge or surrounding areas and we are happy to liaise with them on your behalf. 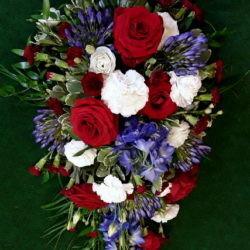 If you have any questions or require any further help, please phone us on 01394 384109.